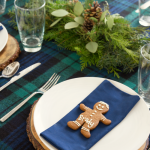 I am normally a “decorate after Thanksgiving” kind of person even though bloggers are expected to decorate early. 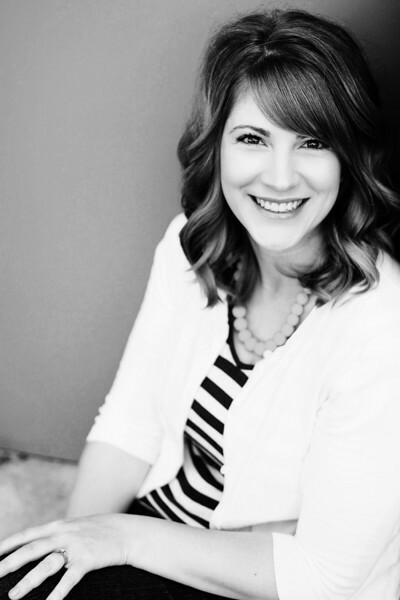 But I was invited to do participate in a super fun blog hop and I couldn’t say no. So while a couple of my kids may have grumbled about the tree being up too soon, I have enjoyed playing around with new tree decor. This year I decided to go with a Christmas tree with plum ornaments! 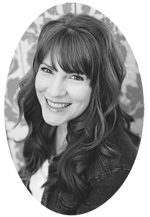 If you are here visiting from Linda’s blog, The Home I Create, welcome! 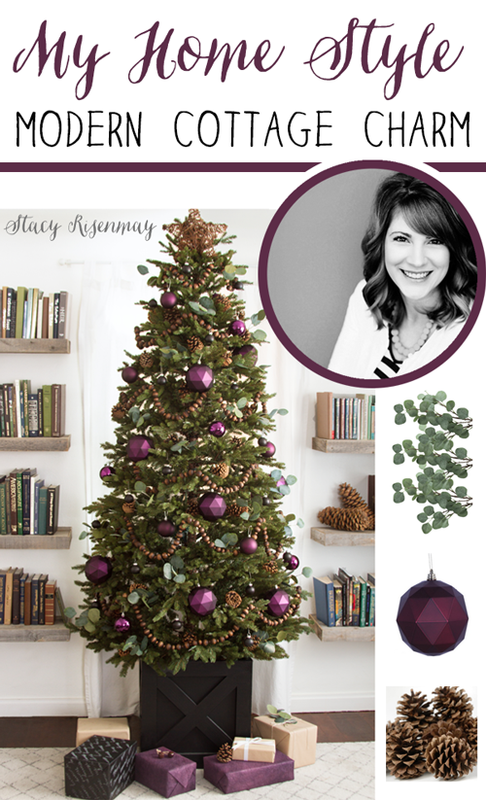 I hope you have been inspired by seeing all the different styles of trees in the blog hop hosted by Stephanie from Casa Watkins Living. Make sure to visit all the blogs. 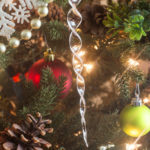 There are so many fun takes on tree decor! 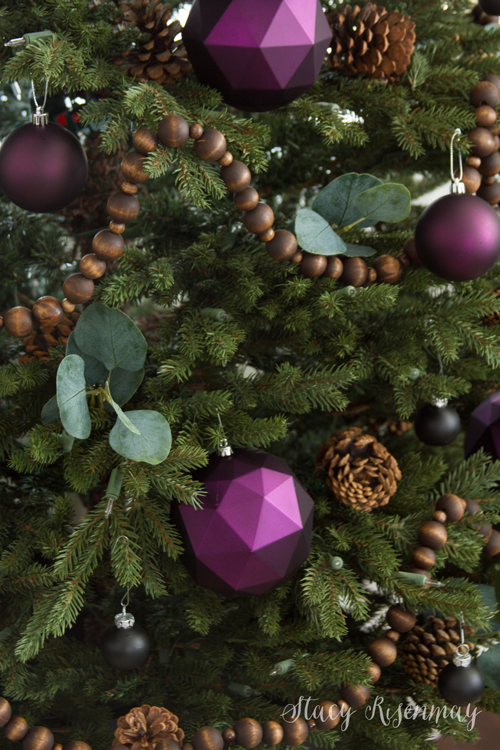 Last year was all about the gingerbread men, but this year it is all about moody purple, wood bead garland, eucalyptus sprigs. As usual, I like to mix a bit of modern with earthy and natural elements. And while purple may not e the first color you think of when you think of Christmas, I think it works well, especially this warm plum hue. Getting the Christmas tree decked out has made me excited to think of ways to bring in plum to the rest of the house. We were challenged to come up with three words to describe our own personal style. I chose modern cottage charm. I love our little 1938 home and while I believe a home’s interior should reflect and match the architecture of the structure, I do love adding modern touches here and there. There is something very charming about all the little nooks, built-ins, and arches in our home. 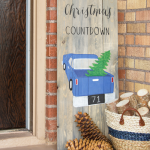 They make our home unique and they are so fun to decorate, especially at Christmas time! I wanted to add wood beads this year. I knew I would need a lot and wanted to make sure it was cost effective. I bought unfinished wood beads online and then strung them myself. I also dipped them in wood stain. I LOVED how they turned out! 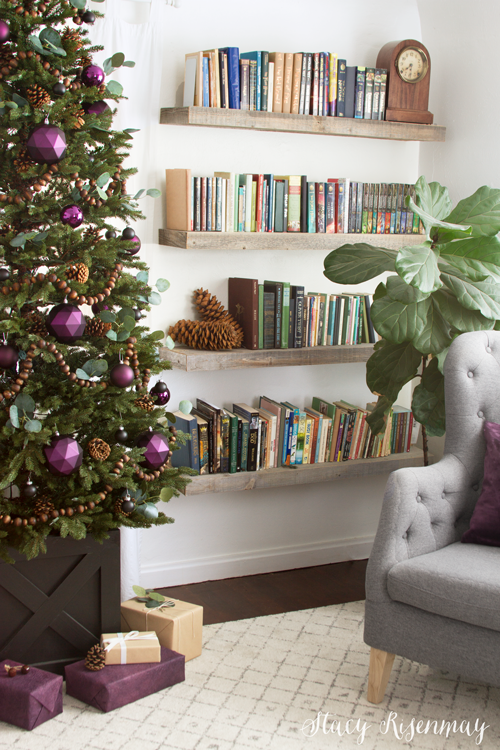 Thanks for letting me share my Christmas tree with plum ornaments and natural elements. If you want to create the same look, here are the links to the items! 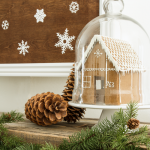 Do you have a favorite color when decorating for Christmas? I’d love to hear how you decorate your tree. Tell me in the comments below! Oh my goodness, Stacy! 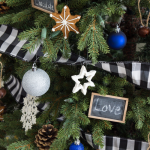 I love EVERYTHING about your tree and the room it is in! 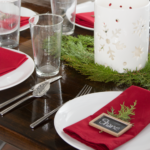 Those plum ornaments and wood bead garlands are absolutely stunning!!!!! Obsessed! Oh Stacy! This is one of my favorite trees, I love the bold pop of purple and the black base. This looks so awesome. So cozy! Love every single detail! Stacy, your Christmas tree blew me away! 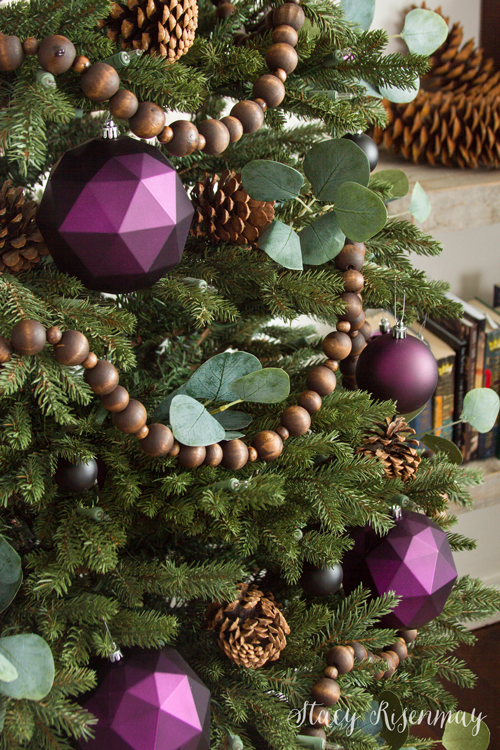 It’s so beautiful and interesting with the plum color ornaments and wood beads! Wonderful job! It looks awesome! I love the color combo! 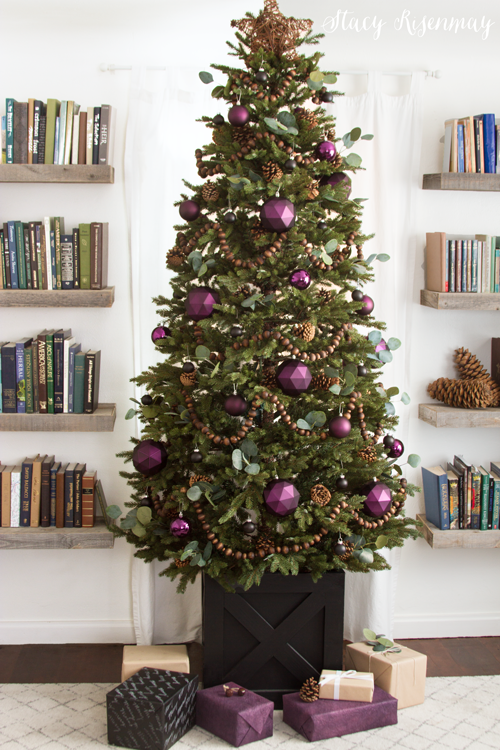 I absolutely love how the plum ornaments look in your tree – they make such a pretty jewel-toned accent! I love it SO much! I want to make the wood bead garland for my tree this year. I clicked on the links and am wondering how many packs of the small and large beads you needed for your tree? Thank you for sharing, it’s just beautiful! Love your tree Stacy. The pops of purple are pretty. Have fun finding other pieces in this color. So pretty! The eucalyptus is such a smart touch. Love it. So gorgeous! 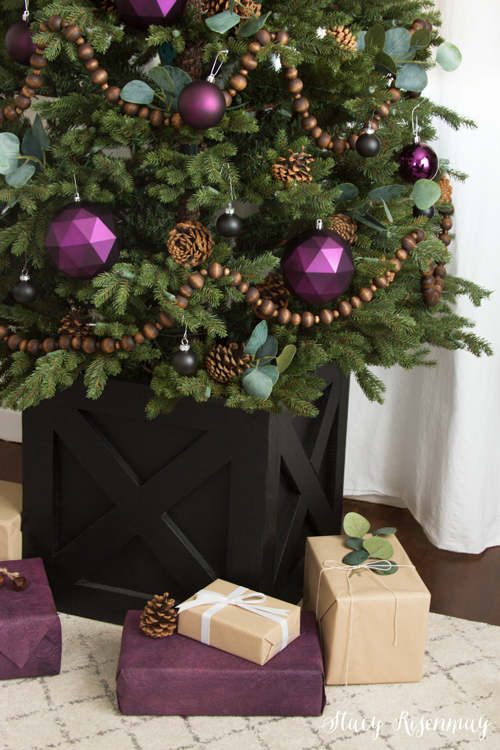 I love the unexpected plum color and the box your tree is in!! What a great tree! I have not seen anything like it! Love it! The plums are perfect and I love the wood accent from the bead garlands! So cool! 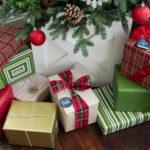 Your tree is gorgeous! I think the eucalyptus is my favorite part. I am in LOVE with this tree! Purple is my favorite color, but I rarely decorate with it. I love how you’ve pulled this beautiful plum color with wood tones. Absolutely beautiful tree! 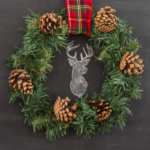 Thanks for joining in on the fun this year! LOVE the dark plum and wood theme. Totally perfect in your space too! The purple on this tree is perfection. This is has such an edgy farmhouse feel!